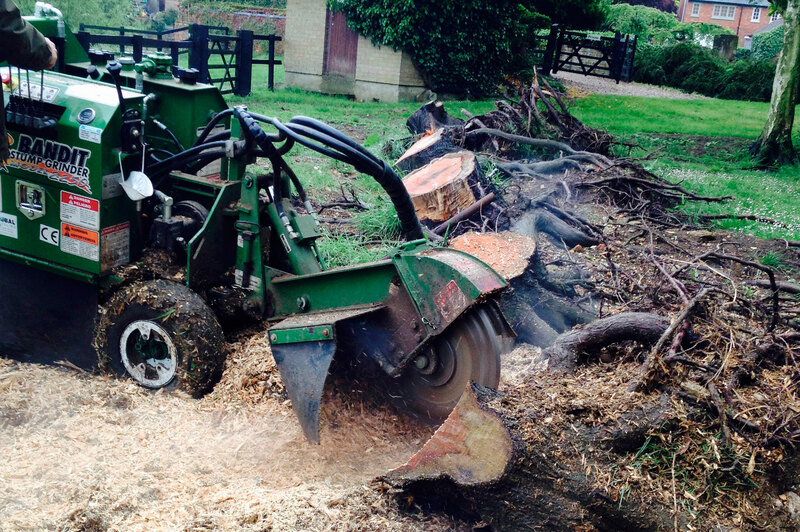 Tree Stump Grinding in Milton Keynes, Northamptonshire, & Surrounding areas. 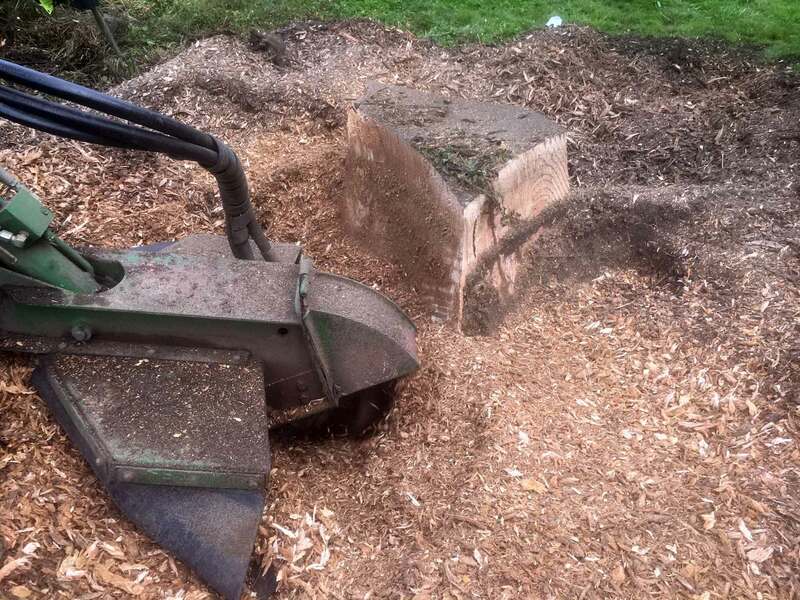 We use the latest in stump grinding technology and machinery, whatever the size large or small we have the capability and expertise to complete the job. Tree Stump Solutions use the latest in stump cutter technology to grind down remaining tree stumps. Our machines can grind through any kind of tree or shrub stumps, clearing the ground for you to proceed with your project. No matter what the size or number of tree stumps we’re equipped to help you. We have a variety of machines that make light work of the smallest to the biggest tree stumps even if they’re tucked away in a tight spot or difficult to access. Without the right machinery, tree stumps are difficult things to remove. We have a wealth of experience and a wide variety of dedicated grinding machines to tackle both large and small grinding jobs. The process is quick, efficient and leaves the ground ready to proceed with your project. We also carry our own ramps to get up / down steps and over small walls, sleepers etc. other machines cannot get to. Our Alpine Magnum is a specialised Tree Stump Grinder and is designed to remove tree stumps located in awkward places that larger machinery cannot reach. 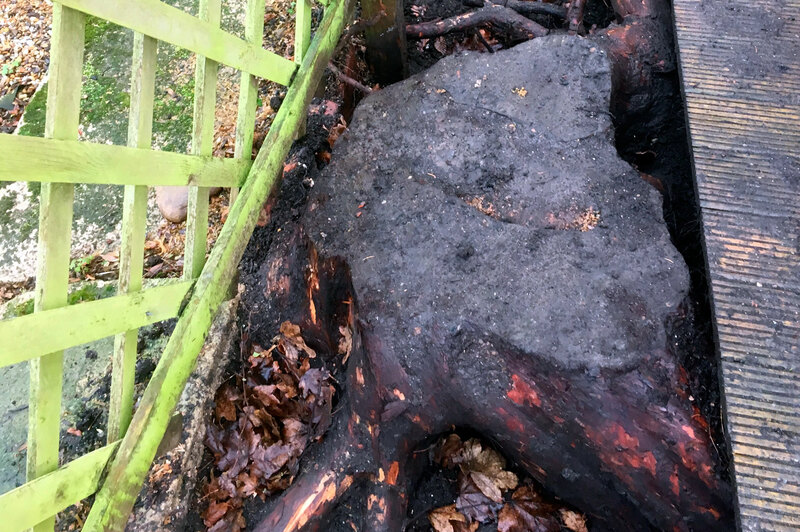 Whether the stump to remove is in a tight spot or the only access you have is through your property, we can carry this machine to reach those troublesome stumps. 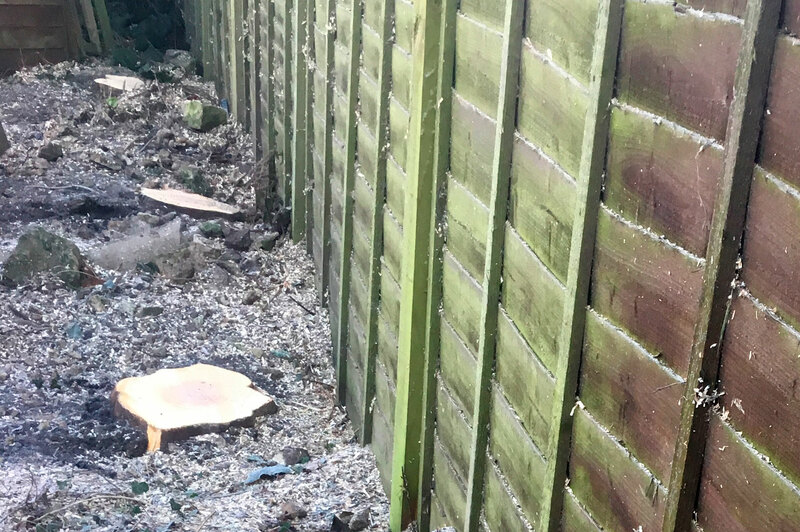 If the tree stumps are located in a sensitive area we can offer a stump treatment service, some trees when cut down can regenerate unwanted shoots. Tree Stump solutions use Ecoplug: This product is applied by drilling holes around the surface of the tree stump and then inserting a sealed plug into the drilled hole. 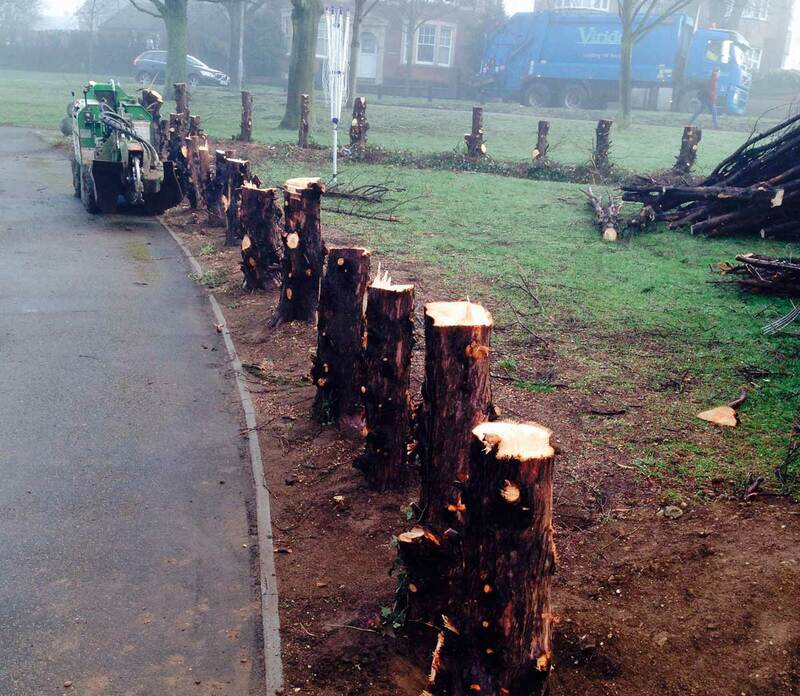 Thanks for all your help re tree stumps, very efficient, would recommend. 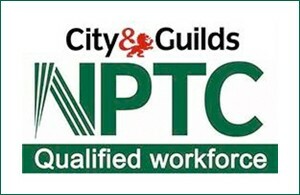 We are CSCS card holders and NPTC qualified. Before beginning any work we will scan the area thoroughly using a CAT scanner (cable avoidance tool) this will enable us to check for buried services such as telecoms and electricity cables. We have public liability insurance up to £5,000,000 so in the unlikely event of an accident all work and property are covered. 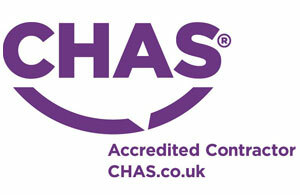 You can rest assured that your property is in safe hands. HOW IS STUMP GRINDING DONE? The area around the stump will first be checked for buried services using a cable avoidance tool. We’ll then erect guards around the tree stump to contain any flying debris before the stump grinder is moved into position. The stump grinder works by grinding across the tree/shrub stump and working down to a depth below ground of approximately 6 – 12 inches. This allows us to remove surface roots as well. Once the grinding is complete the grindings are raked up into a pile which resembles fine mulch and can be used around the garden. Based in Northampton, we work in Northampton, Milton Keynes & surrounding areas. Our services are available to both commercial and domestic customers. Over the years we’ve developed a base of clients who call on us again and again for our skill and professionalism.